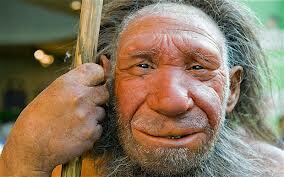 [quote=“chameleon, post:119, topic:358”]^@2.A person opposed to increased industrialization or new technology. Yes, will trim the beard tonight . Any fan projects with a stereo or mono option? I don’t remember anyone complaining about the 5:1 sound. It is of course not an original sound, but it seems not to be a total fake 5.1. sound, as for so many other films. Maybe because a true stereo sound was then produced for some 70 mm copies, and they could do something good with the stereo elements. Possibly the best movie about failure ever made. 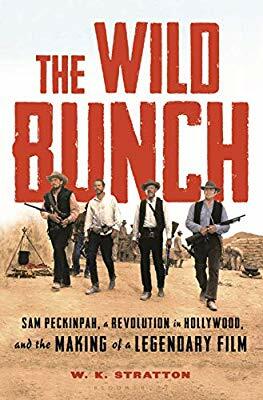 Might be interesting: new, reasonably priced book on The Wild Bunch, just in time for the film’s fiftieth anniversary on June 18, 2019. Written by W. K. Stratton, published by Bloomsbury. I guess Mr. Derrida would’ve been over the moon with such a term. I had to look up “pabulum” in my dictionary. And then I had to smile. If it’s anything like Glenn Frankel’s book then I’m going to love it. By the way, I liked Frankel’s book on “High Noon” even more - quite simply a brilliant read (and Frankel does thankfully include page numbers in his references). You’re the expert on philosophy, scherpschutter, but aren’t you a bit too hard on the poststructuralist bunch? You(’ll) probably like this website: Communications from Elsewhere. If it’s anything like Glenn Frankel’s book then I’m going to love it. I haven’t read his High Noon book yet but intend to do so soon. Frankel’s The Searchers was a fine read, entertaining and informative. – Preponderantly, no, solely favorable reviews of Stratton’s T. W. Bunch on various sites, e.g. on Kirkusreviews.com and Variety.com (remarkable comment by a gentleman [maybe aptly] named Ugly Hombre). Fastest reader in the West, I finished Stratton’s book last week. Its introduction and first part provide interesting autobiographical background (the author was only thirteen when he first saw The Wild Bunch at his local cinema in Oklahoma), historical information on the time of the film’s production and on its story’s temporal setting (the Mexican Revolution), and an account of its laborious genesis. After his strong beginning, Stratton unfortunately lets T. W. B. deteriorate into an assemblage of curricula vitae and anecdotally biographical tidbits about practically everyone in one way or another involved in the making of The Wild Bunch. Peckinpah aficionados will surely be familiar with many of those data from previous publications on the director – and some information we would perhaps have preferred to remain ignorant of, e.g. that Bloody Sam suffered badly from hemorrhoids but exclusively wore white pants during the shooting of his masterpiece. That said, I enjoyed reading The Wild Bunch’s 305 pages, excluding an appendix that leaves a lot to be desired: incomplete bibliography and index, and, as mentioned above, no page numbers for the sources. Stratton’s repeated mentioning of Sergio Leone’s films as possible influences on The Wild Bunch will without a doubt be of great comfort to devotees of Spaghetti Westerns. Wild Bunch is a great Western movie, despite its celebration of violence at the end. It’s not just a movie, but an allegory that starts with kids burning hundreds of ants that are about to overwhelm scorpions, an image which later evolves into Mexican soldiers vs. Holden and companions. I think it’s legitimate to expand the allegory to the American involvement in Vietnam at that time. Apart from that it’s quite entertaining with great cinematography. And I don’t miss women in this movie.